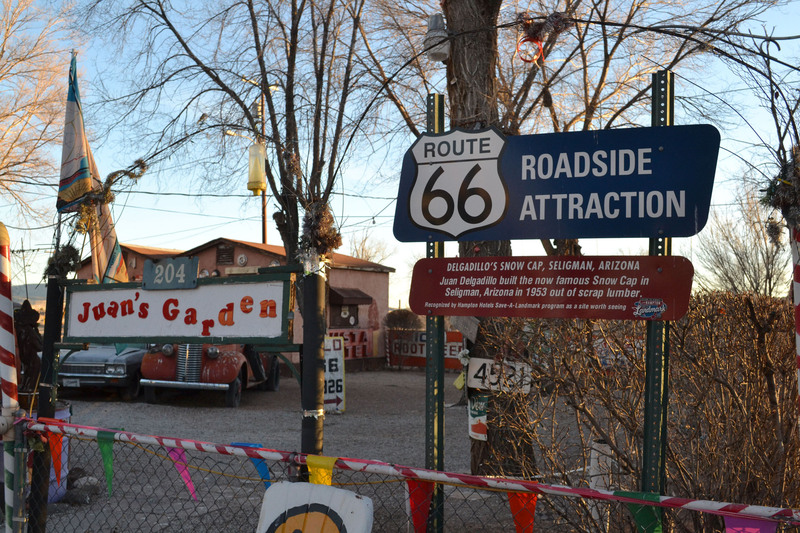 During our recent vacation to Arizona we decided to venture off the Interstate and travel part of historic Route 66. What we sacrificed in speed, we made up for in a memorable historical experience. We as a society spend much of our time rushing through life always taking the fastest and quickest route possible. 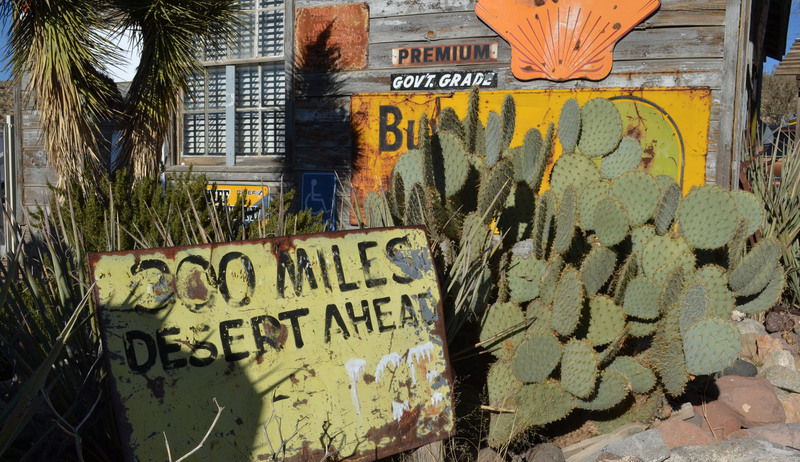 But sometimes it’s nice to move into the slow lane, sit back, take our time and enjoy the sights – in this case of desert and ghost towns. My kind of road trip. The historic two-lane highway is also known as the Main Street of America or the Mother Road. 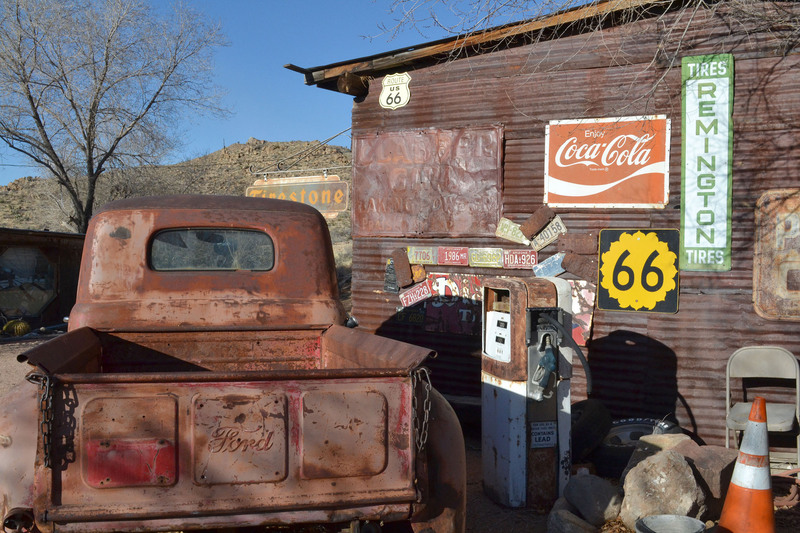 It was established in 1926 and runs a total of 2,448 miles from Chicago to Santa Monica, California. 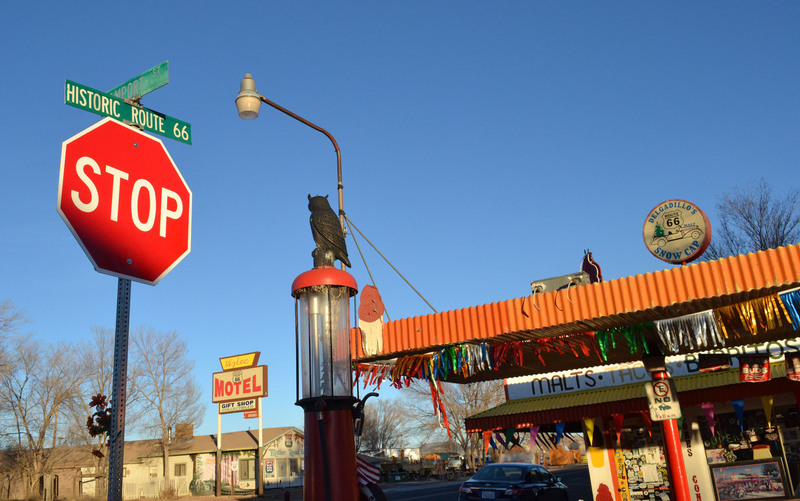 I encourage everyone to drive part or all of Route 66 at some point in their life. It’s a worthwhile experience. I snapped many photos along the historic route. Take a look. 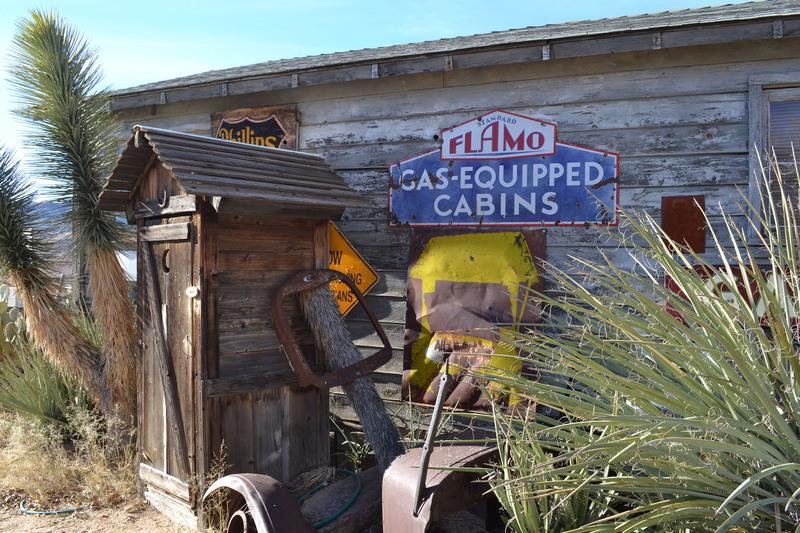 An old school biffy (outhouse). 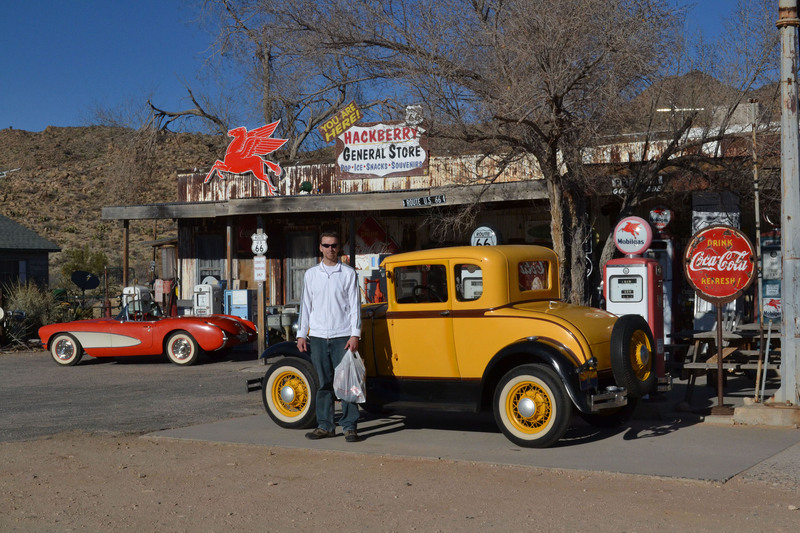 Posing in front of the Hackberry General Store with some classic cars. 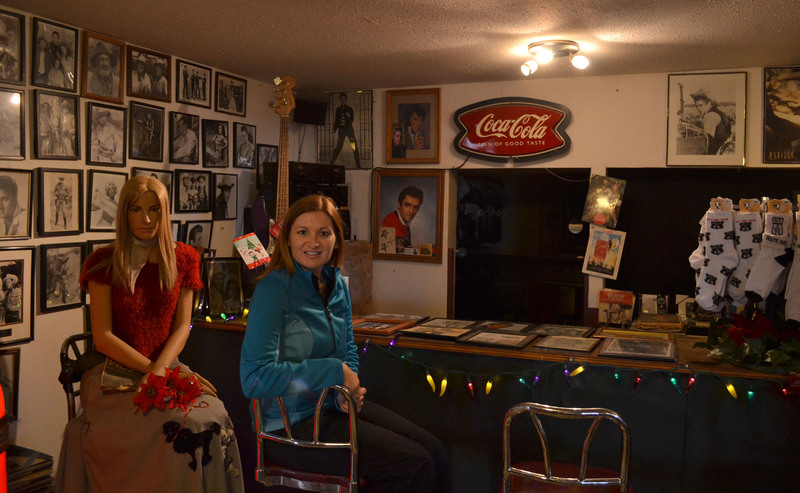 Hanging out with this lovely lady in the Hackberry General Store. 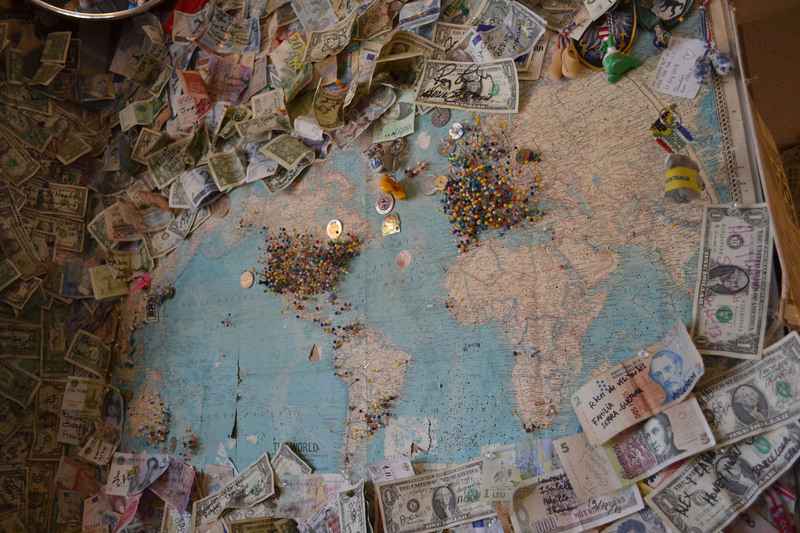 A world map with visitor pins and signed money in the Hackberry General Store. Juan’s Garden was full of all kinds of treasures from days gone by. 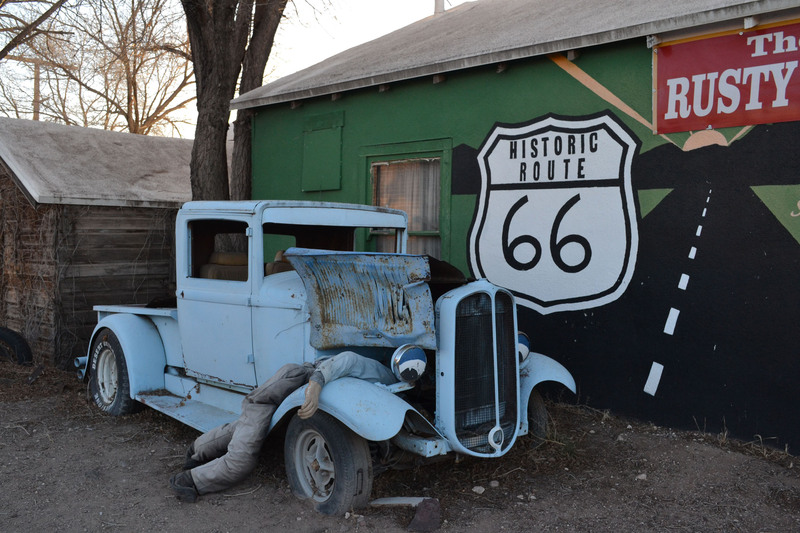 Take the time to drive historic Route 66 and make some stops along the way.